See pictures of past performances to see how much fun hiring Shayna will be! Shayna's performance will provide entertainment for the entire family! 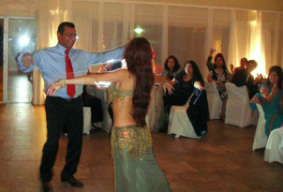 She will get the party started as she provides a full interactive theatrical belly dance show, then will get your guests up and have them dancing too! Shayna will stay at the end of the show to take pictures with all your guests to keep them remembering what a phenomenal party it was! 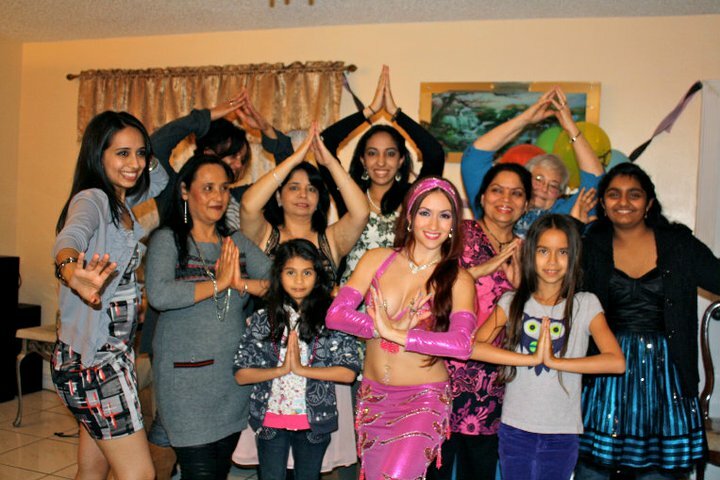 Despite her young age, Shayna has had over 10 years of belly dance training and 8 years of experience dancing at parties and events; don't settle for an amateur dancer because of their lower rate. Shayna provides a show like no other; she is professional, polite, courteous, punctual, and prepared! Shayna’s performances can include props such as flowing silk veils and fan-veils, a twirling cane, a sharp sword, and the breathtaking Wings of Isis. as weekends especially fill up fast. Performance Agreement (below) must be signed and a deposit must be received to secure date and time of event. Remainder of fee is collected at the venue in CASH. Have Questions? Read our F.A.Q.s below! Pay via PayPal for your party deposit to book your show! Watch the videos below to see a sample of what Shayna could do at your party or event!